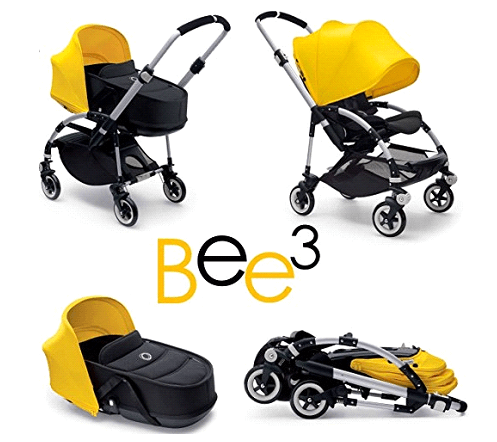 If you are a ongoing parent who used to travel or live urban life style & want to give time to your baby but a all rounder stroller for ease then “Bugaboo Bee3 Stroller” would be the best choice for you .reversible seat, strong wheels, bassinet & infant car seat option for travelling. 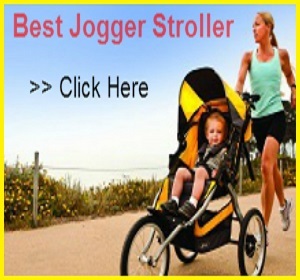 All this features makes this stroller a complete stroller for the baby as well as you. 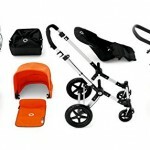 This stroller is suitable for infant to toddler.So lets start the Bugaboo Bee 3 Stroller Review. It rolls on four 6″ hard rubber wheels with front swivel wheels that can be locked straight for rougher terrain. 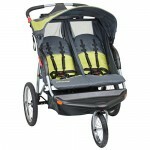 But it is not that much fits for every kind of rough surface or long walk, this stroller more suitable for flat surface. The wheel suspension helps to absorb the bumps making the ride a little smoother. There is a foot brake located between the rear wheels for instant brake. ⦁ The adjustable telescoping handle bar goes from 34″ and up to 42″ from the ground. 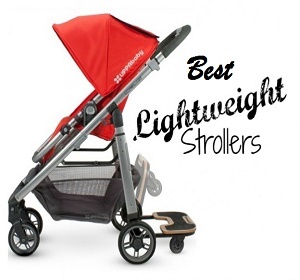 It’s great stroller for taller or shorter parents. ⦁ There is one strap covered over the handle bar which a safety measure as while running you can hold it when you feel the handle bar is going away from you. ⦁ Five point harness system with new design of buckle gives your baby extreme safety but the only drawback is you need to tie each & every harness separately with the buckle (can be time taking). 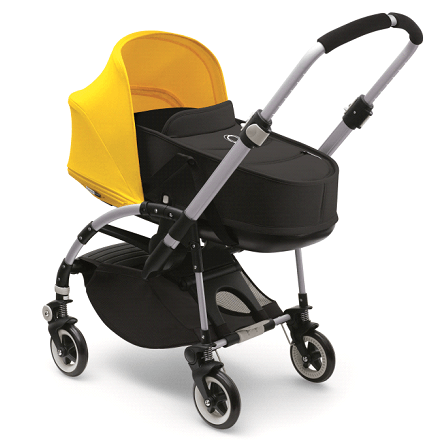 ⦁ The fold is very easy, you need your both hands to do it .You can even fold stroller with the seat attached. ⦁ Once folded there is an automatic lock, when you placed in your room so maybe it will take a lot of space because it becomes quite bulky? 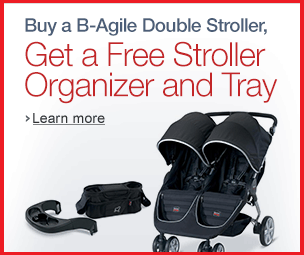 ⦁ Unlike other stroller there is no standing fold option. ⦁ The canopy is very large & extendable; the canopy goes down almost reaching the seat so it is very good for sun protection. There still no peek-a-boo window. 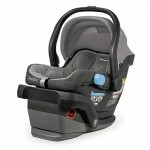 ⦁ The seat is 14″ wide with 18″ seat back that can adjust to 21″ which is a very tall seat back. The seat depth also is adjustable. It goes from 11″ deep up to 15″ deep. Great stroller for a growing child. 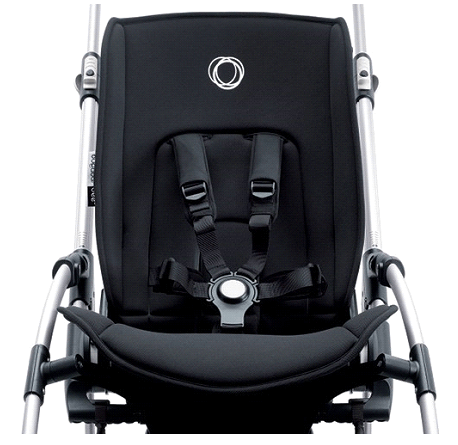 ⦁ It is one-hand lever recline that goes to almost flat position making it suitable for a newborn. ⦁ The seat is also reversible. You will need to take your child out of the seat before it. 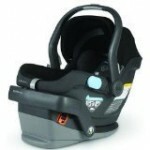 ⦁ It can accommodate a child from birth and up to 37.5 lbs. ⦁ There is one bassinet option so you can turn your stroller into a pram by replacing the seat, it can accommodate a child from birth and up to 20 lbs. ⦁ You can replace the seat by infant car seat & use it for travelling. 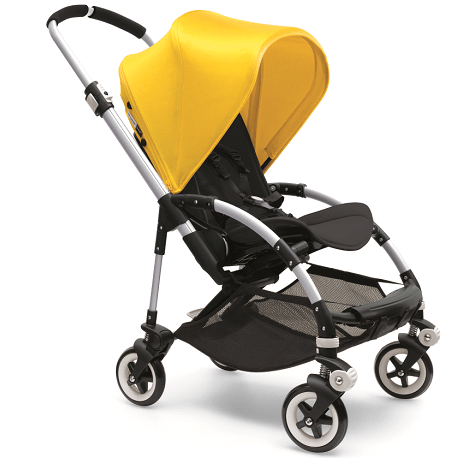 The Bugaboo Bee 3 is available in 64 different color combinations. To personalize your Bugaboo Bee 3 stroller review, you can choose the chassis, canopy, seat and bassinet fabric in the color of your choice. 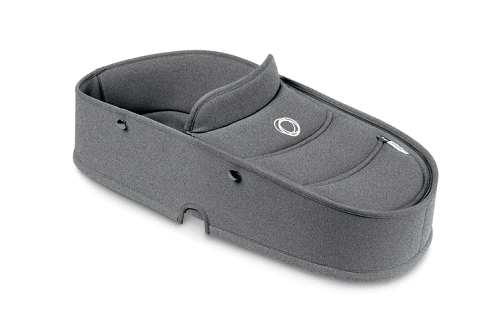 The sides of the bassinet are soft, but the bottom is made out of hard plastic so you can use it as a carrycot in your house. 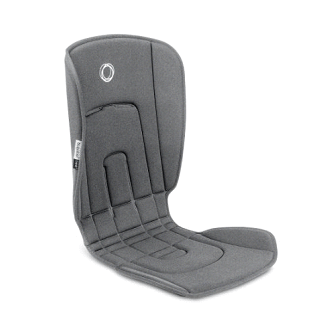 Seat is made of with soft fabric which is easy to clean. Read More – Stokke Xplory Stroller Review..
Well there is nothing extra ordinary to speak about storage in “Bugaboo Bee 3 Stroller Review”. The basket is very large enough to put your baby stuffs & quite easy to access. 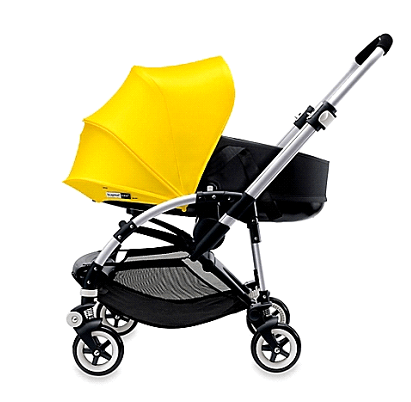 To give an end to “Bugaboo Bee 3 Stroller Review” if we talk about compatibility so it we can say this is a complete standard stroller for your baby with 3-year warranty from the original date of purchase .one rain cover is also included fro raining season. After lots of pros & very negligible cons this stroller is worth buying to make your urban lifestyle easy.